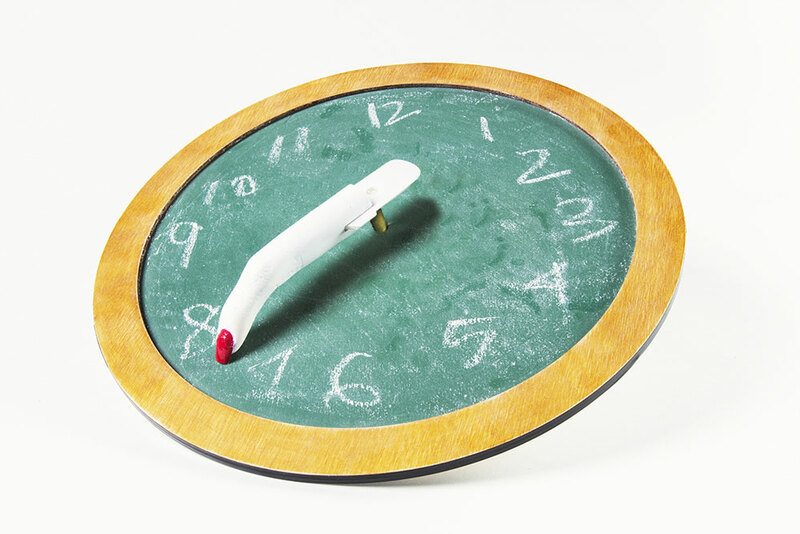 This clock is inspired by the hair-raising sound of finger nails against a chalkboard. In a digital age, clocks are nothing more than moving sticks that decorate a room . So here's a clock that's hard to ignore both visually and audibly. Fortunately for you, this picture isn't a video.